Last week, the Ban Ki-moon Centre welcomed a delegation from the Kingdom of Bahrain including H.E. Shaikh Hussam bin Essa Al Khalifa, the current President of His Royal Highness the Prime Minister’s Court. The meeting included a briefing on the Ban Ki-moon Centre and its work as well as a memorandum of understanding (MOU) signing between the Centre and the Kingdom of Bahrain. 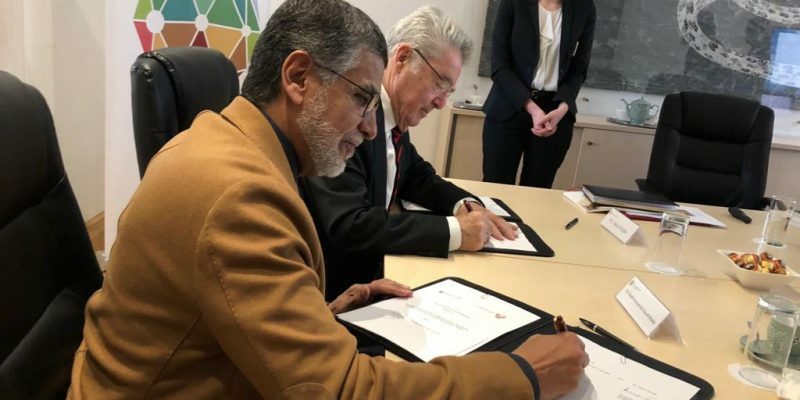 Bahrain seeks to support and collaborate with the Ban Ki-moon Centre in implementing the 2030 Agenda and the Sustainable Development Goals (SDGs). In 2007, the Kingdom established the Khalifa Bin Salman Award for Sustainable Development. Last year, Chairman Ban was awarded with this distinction. Since the Millennium Development Goals (MDGs), Bahrain has been actively engaged for sustainable development. The Ban Ki-moon Centre is pleased to sign an MOU with the Kingdom and looks forward to fruitful collaboration for the SDGs!